Add up the tree/potato/person with blonde hair emojigram above and you get Colson Yankoff, a 4-star quarterback from Idaho. The Huskers' quarterback of the future (working title) picked the Huskies on Wednesday. 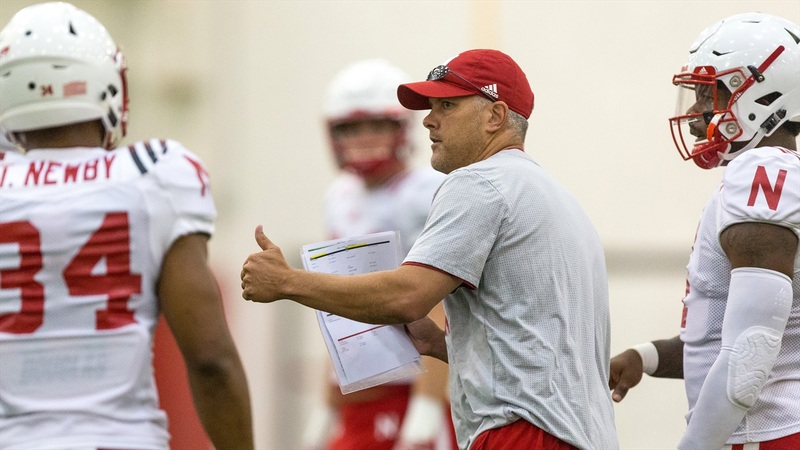 Yankoff was one of the Huskers' top targets at quarterback in the 2018 class and maybe the one offensive coordinator Danny Langsdorf wanted the most. Yankoff could do a little bit of everything, throwing for 3,129 yards and 27 touchdowns while completing nearly 70 percent of his passes and rushing for 968 yards and 26 touchdowns as a junior, and he did it while being 6-foot-4. Langsdorf visited him in Idaho last December, shortly after Yankoff decommitted from Oregon following the Ducks' coaching change. Standard disclaimer here that this is, of course, a verbal commitment and nothing is over until Yankoff officially decides his non-binding decision is binding. Washington already has one quarterback in the 2018 class, the slightly better rated Jacob Sirmon, who also had a Nebraska offer. That said, expect the Huskers to turn most of their quarterback attention to Corona, California, 4-star Tanner McKee. Hail Varsity's annual State of Husker Nation poll is back, meaning it's time to tell us how you feel about Husker football right now. This is our third year doing this, and a lot of the value in doing a poll likes this comes with continuing to track different responses to some of the same questions. If you've been kind enough to answer one of these surveys before some of this will feel familiar to you. Some questions are also new for 2017 as we continue to try to tailor this to what fans are thinking and talking about now. So if you have a couple of minutes, please click here and take a little time to answer some questions on the Huskers. Much obliged. South Dakota men's basketball coach (and former Nebraska assistant) Craig Smith was rumored to be taking the Drake job Wednesday night until he wasn't. Is the randomness of the NCAA Tournamet the best thing about it or the worst? Nebraska added six people to its Athletics Hall of Fame on Wednesday. Former Penn State athletic director Tim Curley says he wishes he would have "done more" in his handling of Jerry Sandusky. Tanner Lee makes this Bleacher Report listicle of "10 Players Set to Shock the College Football World."